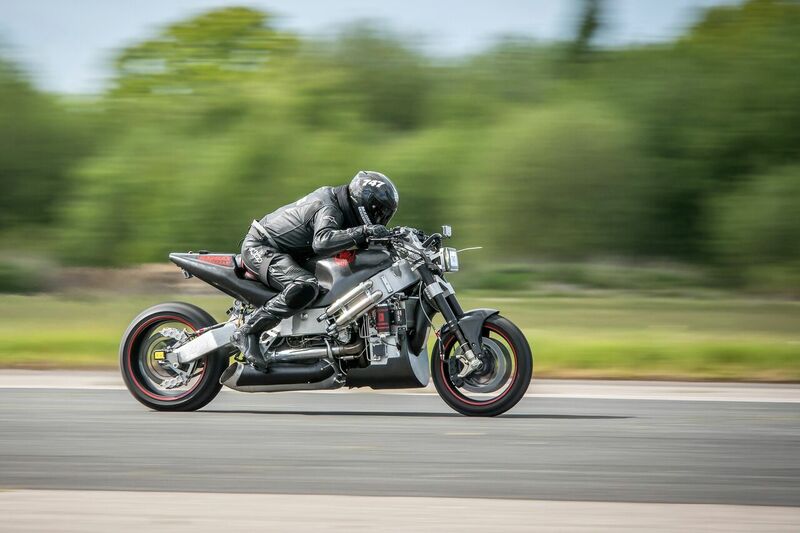 Superbike racer Zef Eisenberg will this weekend (12-13 May) attempt to break the land-speed record on sand at Pendine Sands, Carmarthenshire. Eisenberg will attempt to break the 200mph barrier, something which has never been done on sand by a motorbike or car before. 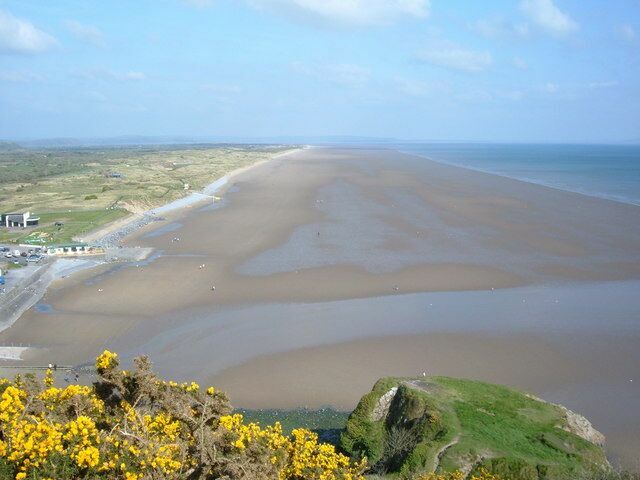 Pendine Sands has a heritage of famous record-breaking racing. The beach has hosted record-breaking attempts since 1900s. 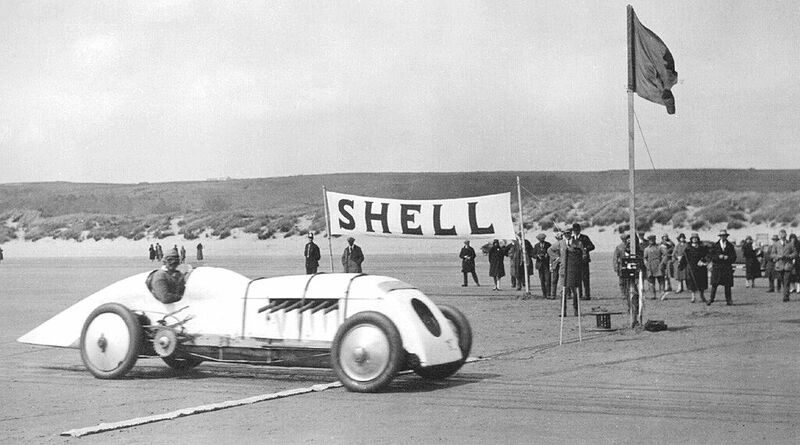 The first person to use Pendine Sands for a world land-speed record attempt was Malcolm Campbell; in 1924 he set a world land speed record of 146mph on Pendine Sands in his car Blue Bird. Enthusiasts and professionals have used the beach for record breaking ever since. Eisenberg’s world record attempt coincides with sixth annual ‘Hot Rod Races’, which has become the most important amateur racing event in Europe. The event attracts participants from across the globe, bringing cars and bikes are often built just to break class records at the event. Serial record breaker Eisenberg holds many existing records, including the world’s fastest turbine bike (234mph), the world’s fastest turbine-powered “streetfighter” (upright bars, no fairings, 231.6mph), and the UK’s fastest no-fairing “naked” bike (225.6mph). Before moving into autosports, Eisenberg founded household-name protein brand Maximuscle, which was sold to GSK. If successful, it will add another world record to the MADMAX Racing Team’s roster of achievements. The MADMAX Race Team has designed many of the world’s most powerful, road-legal jet-engine and V8- powered motorbikes, quads, karts and more. The brand was founded by Eisenberg to build bespoke superbikes and other vehicles for discerning clients. Eisenberg attempted to break the 200mph barrier on sand last year, but his attempt was cut short by bad weather. Given the heatwave the UK is currently experiencing, the prospects of a successful record break look much better. Zef Eisenberg said: “Two years have past since my near-fatal crash. I’m grateful to be alive. People might say I’m mad to continue racing, but I love this sport. I love the speed and the excitement. So, while the horrible memories are still there, I’m determined to keep on going and keep on breaking records. “No one in history, car or bike has ever exceeded 200mph on the sand at Pendine. It’s the holy grail of speed, where the best speed racers in the world have tried. For the first time ever, I’m bringing down the MADMAX supercharged ‘Green Monster’ Hayabusa. Born 22 March 1973, Zef Eisenberg is a motorsports enthusiast and acclaimed entrepreneur. He founded his first business aged seven, explaining that whilst out doing his paper round, he soon realised he could subcontract more paper rounds to his friends for £1.50 each. Having Initially started his career as a qualified gym instructor and competitive bodybuilder, Zef developed an interest in herbalism and nutrition; he has subsequently devoted his life to understanding the effects of performance nutrients and different training programmes on athletes. In 1991, aged just 18, he began writing books and newsletters on the subjects of physical training and sports nutrition. He is the author of several best-selling books on the subject of training, performance nutrition, and bodybuilding and owns leading websites on these topics. Well known among the bodybuilding community, Zef soon developed a ‘cult following’ as a result of a self-published expose dispelling myths on which sports nutrition products worked and which did not. The book would go on to sell 24,000 copies earning him £3,000, which he used to setup Maximucle just four years later.